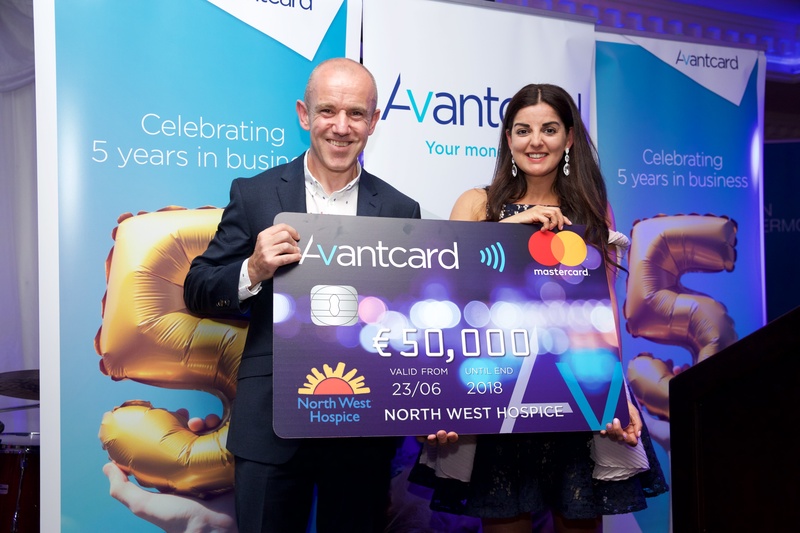 Avantcard donate €50,000 towards North West Hospice new In-Patient Unit. North West Hospice has been providing palliative care with compassion for over 30 years serving a population of approximately 110,000 people, in the communities of Sligo, Leitrim, South Donegal and West Cavan. This year, NWH is entering a new stage in its development, with a momentous and ambitious undertaking to build a new hospice in-patient unit on their current hospice site in Sligo. This development is essential to meet the current and future needs of the local communities. The current in-patient unit consists of eight beds, three single rooms and a five-bedded ward. It was not purpose-built, and single rooms are vital for the dignity and privacy of patients and their families. An increase in demand for services over the last few years means that they simply do not have enough beds, particularly over the winter months. The new build will comprise of a 12-bed unit (12 single rooms) as well as day-care and outpatient facilities, with the cost estimated at €8.5 million. North West Hospice is pleased to announce that Leitrim based, consumer finance business Avantcard, is supporting the development of the new unit by coming on board as the Inaugural Corporate Patron, with a significant donation of €50,000. The Hospice sees this as an essential milestone in the first phase of funding, which is to raise €300,000 for the design and planning stage. They hope to achieve this target with the help of other corporate partners. The total build is estimated to be in the region of €8.5m, which will be secured through a combination of government funding, financing, corporate support, support from the Diaspora living abroad, as well as the local community and other significant donors. Thanks to the on-going committed support of the community and their tireless fundraising efforts, North West Hospice has been to the forefront of palliative care in Ireland for those living with life-limiting illness where they are residing, be that at home, in a nursing home, hospital or hospice. They are the only specialist palliative care service in the State providing services which are integrated across acute, community and hospice. They were the first to provide community palliative care on a 7-day week basis and, in 1998, opened their specialist in-patient care facility in Sligo. “North West Hospice has been our chosen charity partner for several years now, and it holds close personal ties with many of our staff who live in the local communities of Sligo, Leitrim, South Donegal and West Cavan. In addition to our donation of €50,000 for the new unit, the Avantcard team has also been enthusiastically raising funds to support the day-to-day running costs of the hospice, hosting events on a regular basis. This year alone they’ve held a cyclothon, shamrock sale, bake sale, jersey day, supported sunflower day and ran the Ladies mini-marathon, raising an additional €3,500. “We are delighted to support the North West Hospice with the development of their new unit and are also committing to helping them attract other corporate partners who will be critical in reaching this important milestone in the planning process”. If you would like to support this new development please call North West Hospice on (071) 9170523.